The theologian Augustine of Hippo (a.d. 354—430) believed that the essence of beauty lies in resemblance to the divine universe. Seemingly discordant elements are brought into ultimate harmony under a single, overarching geometrical order. Beautiful music is composed of simple arithmetic ratios between musical notes. 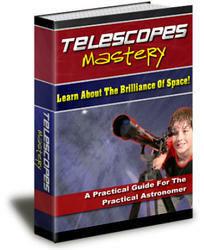 The result echoes the divine universe, which consists of similar ratios. The medieval motet, an unaccompanied choral composition with different texts (sometimes in different languages!) sung simultaneously over a Gregorian chant fragment, originated in the thirteenth century. It was sung as part of church services, for the greater glory of God and for the enlightenment, instruction, and diversion of man. The music's intricate polyphonic form, in which every little detail has its place and meaning, supposedly echoed the superbly organized divine universe. Perhaps the greatest expression of this musical genre is found in the eighteenth-century fugues of Johann Sebastian Bach, Kapellmeister and Director Chori Musici in Leipzig. Resemblance to the divine universe as the essence of beauty also applies to architecture, especially to Gothic cathedrals, constructed between the twelfth and sixteenth centuries. Dedicating the new choir of the abbey church of Saint-Denis in 1144, Abbot Sugar called it the embodiment of the mystical vision of harmony that divine reason had established throughout the cosmos. The geometrical regularity and harmony of Gothic cathedrals was, he believed, as literal a depiction of a spiritual ideal as could be built in stone. Architecture mirrored the divine universe. Some Western medieval architects were so convinced of the power of geometrical regularity to stabilize structures that when the Milan cathedral showed signs in the 1390s of collapsing, one solution proposed was to increase its height, in order to form one section into a perfect square. Fortunately, instead of trying to bring the cathedral into closer harmony with the divine universe, more buttresses were added. Other cathedrals, however, did collapse, including Worcester in 1175, Lincoln in 1240, Beauvais—the tallest Gothic cathedral ever built—in 1282, Ely in 1321, and Norwich in 1361. Painters, too, have consciously attempted to reflect the harmony of the cosmos. The squares and primary colors favored by the twentieth-century Dutch painter Piet Mondrian are one example. In the Islamic world, in contrast, the Koran, the sacred text of Islam, is the unadulterated word of God (Allah), and Arabic script is the means for transmission and visualization of the divine message. Idolatry (in any form other than calligraphy) is discouraged, and figural images are not found in Islamic religious architecture, such as mosques and shrines. Glenn Seaborg, the Nobel Prize—winning scientist who discovered 10 atomic elements, including plutonium and seaborgium, noted that the educated person of today and tomorrow can no more ignore science than his predecessors of the Middle Ages could ignore the Christian church or the feudal system. It now appears that neither they nor we can disentangle cathedrals and their music and architecture from science. geometrical regularities in nature, and a new view of the Sun as the source of all vital principles and forces in the universe. 1540. First published in 1524, this popular introduction to astronomy, geography, cartography, surveying, navigation, weather and climate, the shape of the Earth, map projections, and mathematical instruments was reprinted throughout the sixteenth century. The woodcut shows a central spherical Earth surrounded by solid spheres carrying the Moon, Mercury, Venus, Sun, Mars, Jupiter, Saturn, and the fixed stars. Born Peter Bienewitz, he Latinized his name to Petrus Apianus (biene is German for "bee," which is apis in Latin). Apianus, who lived from 1495 to 1552, was professor of mathematics in Ingolstadt (north of Munich) and a favorite of Charles V, the Holy Roman Emperor and King of Aragon and of Castile (now Spain). Image copyright History of Science Collections, University of Oklahoma Libraries. sion of lost classical works marked the first stage of the Renaissance and humanism. The Renaissance began in Italy in the fourteenth century a.d. and spread to universities north of the Alps in the fifteenth and sixteenth centuries a.d.
Inconsistencies within individual ancient works and between different authors, and discrepancies in the sciences between classical theory and contemporary observation, initially could be attributed to defects in transmission and translation. Eventually, however, critical thought was stimulated, and what had begun as a rebirth or recovery of old knowledge mutated into the creation of new knowledge. in 1515, and a 1451 translation from Greek to Latin finally appeared in print in 1528. 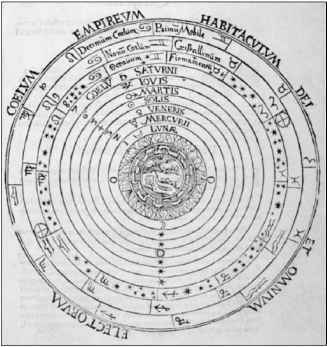 Copernicus would rely heavily on the rebirth of Ptolemy's mathematical astronomy, as midwifed by Peurbach and Regiomontanus, for both its geometrical techniques and its philosophical human values. 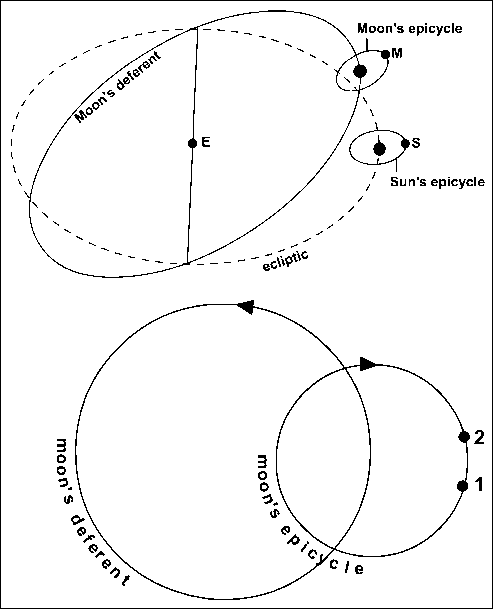 Scholastic discussions of the possibility of a rotating Earth and humanism's general emphasis on Platonic thought, including in particular the Neoplatonic view of the Sun as the source of all vital principles and forces in the universe, were also elements in Copernicus's intellectual world.